Good morning fellow health nuts, it’s your host, Hercules, back in action after a few days on the road. This morning, I will discuss the ideal pH level for drinking water and why it is so important not to go overboard when drinking alkaline ionized water. This way you will reap the most health benefits! There are a lot of people out there, especially on the internet, who call alkaline water a scam. What I’ve noticed about these attacks – and I’ve seen a ton of them – is they focus on the pH level of the water coming out of alkaline water machines. In a recent transcript that I came across, the people involved in the conversation claimed that alkaline water machines are dangerous because they produce water in the pH range of 12 to 13. Of course, drinking water in a pH range of 12 to 13 is dangerous. That pH is way too high! However, all the machines I’ve reviewed produce water in safe pH ranges, and the pH of the water has been tested over and over. These attacks on alkaline water are untrue but convincing to listeners and readers who don’t know anything about alkaline ionized water. Now, let’s get into what pH actually means, why the pH of your drinking water is so important, and how you can be sure that you’re drinking water with a proper pH. Feel free to use the table of contents below to skip between sections. Why is the pH of drinking water important? Before I jump into the perfect pH range, let’s get a bit scientific. It’s always important to know what something is at its root before learning how to use it. There’s an easy way to know the difference between an acidic substance and an alkaline or base substance. Without getting too scientific, an acidic substance donates hydrogen ions. The stronger the acidic solution the more hydrogen ions it donates to water once it is mixed with it. Once these hydrogen ions are donated, the balance between hydrogen ions and hydroxide ions changes. When this process happens, the water solution is considered acidic. Now, an alkaline or base substance does the complete opposite. 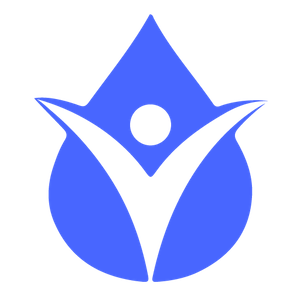 Once the alkaline substance mixes with water, it accepts or absorbs hydrogen ions. When this happens, the balance of hydrogen ions and hydroxide ions goes in the opposite direction. As you can see, substances on both ends are obviously not intended for human consumption. You can instantly see why drinking water in a pH range of 12-13 is a very, very bad idea. If you take a closer look at the chart above, do you see that our blood is slightly alkaline? Human blood has a pH between 7.37 and 7.43. A lot of commercially bottled water is acidic. Why make our bodies work harder to adjust pH when we can drink water that is slightly alkaline? When arterial blood drops below a pH of 7.4, this is called acidosis. Harmful acidity causes all types of serious health problems. I know I for one battled acid reflux after a round of antibiotics for a throat infection a few years ago. It happened before I began drinking alkaline ionized water. A few weeks after I had begun drinking alkaline water, the acid reflux stopped. It’s only returned a handful of times since then if I eat something that’s too acidic (I’m not perfect). You can see my full list of top 25 alkaline water benefits with science to back them up by clicking here. Now that you know what pH is and that your blood is slightly alkaline, let’s discuss the best pH range for your drinking water. When you first start drinking alkaline water, it’s important to start at a lower alkaline pH than someone who’s been drinking alkaline ionized water for months or even years. The pH range of 8.0 to 9.5 is perfect for your drinking water. In order to avoid a healing crisis, it’s best to start at pH 8.0 and work your way up in .5 increments. A healing crisis occurs when you detoxify your body too quickly, and your body can’t release the toxins quickly enough. This detox crisis is called a Herxheimer reaction, and it usually lasts just a few days. However, the beauty of detoxifying with alkaline ionized water is that you can keep your body flushed while adding healthy minerals to your body. As long as you don’t start with a pH above 8.0, you should avoid a Herxheimer reaction altogether. When people begin saying that the higher the pH of drinking water the better, it only fuels the naysayers. A lot of times when people say they are drinking alkaline water for their health, they forget to mention the “ionized” part of alkaline ionized water. Drinking water that is slightly alkaline is great and all, but the most powerful health benefits lie in the ionized part of water. For this reason, it is best to use an alkaline water machine to get the most out of your drinking water. Alkaline water machines or water ionizers do everything for you and provide you with an unlimited supply of incredibly health water. To avoid any confusion, there is no difference between alkaline water machines and water ionizers. The terms are used interchangeably. Also, with an ionizer, you can choose the exact pH of your water and test it for accuracy. All the machines I reviewed in my top 10 water ionizer comparison for 2018 are reliable. I spent countless hours researching each machine and the best alkaline water brands to be sure I am providing you with the most accurate information. I can tell that most other sites didn’t put the time I put in to research the alkaline water products they recommend. 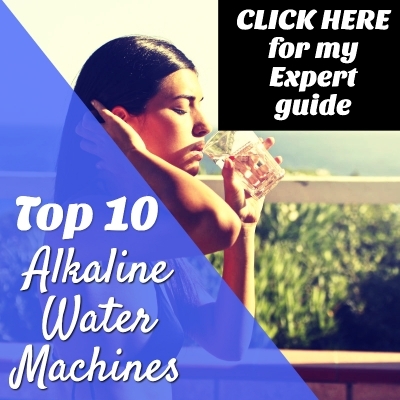 You can check out my top 10 ionizers and learn everything there is to know about alkaline ionized water by clicking here. The easiest way to drink water within the pH range of 8.0 to 9.5 is with an alkaline water machine. Although, I know everyone doesn’t want to invest in a water ionizer just yet or wants to test the alkaline waters before diving all the way in. There are a couple of other options that won’t give you the same number of antioxidants as a water ionizer, but they are a good start. These options are certainly a big step up from Brita or PUR filters, which can actually make your water more acidic. One option is an alkaline water filter pitcher. These are very affordable and the replacement filters can be bought in packs of three to cut down on costs there as well. The pH RESTORE Alkaline Water Pitcher currently offered on Amazon has nearly 2,000 reviews with 67% five-star reviews and just 8% one-star reviews. What I really like about this pitcher is that it uses natural minerals to boost the pH and filter out all the impurities. Each filter has an advertised life of 96 gallons, and there is an attractive option to upgrade the filter that you can check out by clicking here. You also get 2 filters with the initial purchase of the pitcher all for less than $50. That’s a steal for people who put their health first. If you don’t like the idea of filling a pitcher too often, the same company produces a countertop unit that can hold 2 gallons of filtered water. One verified reviewer said she would “die without this,” and it was “the best purchase” of her life. Another reviewer has been using it for over a year now and successfully been able to keep his acid reflux away. One person is happy not to have to buy bottled water anymore, which is one of the best parts about owning an alkaline water system. When you drink alkaline water, you cut down on excessive plastic waste and save money in the long run. BPA isn’t the only chemical in plastic water bottles that can harm us. Another one of my favorite alkaline water solutions is the APEX Countertop Drinking Water Filter – Alkaline edition (model MR-1050). What I really like about this system are the user reports about pH level and the small footprint. Most people reported a pH level of 7.5 to 9.0, which falls in the optimal pH range for drinking water. The current APEX water filter reviews are glowing on Amazon with 69% 5-star out of nearly 500 total reviews. While these options are great, they still don’t offer the same high-quality water that an alkaline water machine offers you. The best budget alkaline water machine is made by Air Water Life. If you don’t need all the bells and whistles, this is the perfect starter ionizer for you and your family. With every Air Water Life unit, you get a lifetime warranty and impeccable customer service. As I said, no product does a better job of giving you drinking water with an ideal pH than an alkaline water machine. You can click here to read my full detailed Aqua Deluxe 5.0 review. The best way to test the pH of your drinking water at home is with pH water tester drops. The drops do a much better job of testing water than the strips. One of the most well-reviewed and reliable tester drops brands is pH perfect. With these affordable drops, you can test your water and be sure that you are drinking water in the proper pH range. Now that you know the ideal pH level for drinking water, you can be confident that you’re drinking the healthiest possible water. Don’t fall into the trap of thinking the higher the pH the healthier the water or believe the naysayers who claim that alkaline ionized water is a scam. In reality, alkaline water alone is only part of the story. Alkaline ionized water is what you are after, and nothing gives you healthier, fresher ionized water than an alkaline water machine. And last but not least, always remember to test the pH of your drinking water. You’ll be amazed by the results and the comfort of knowing you are in the correct pH range. Your body will also thank you! Cheers and best of luck on your water journey! If you think there is anything I missed or you have some valuable tips to share, I encourage you to post in the comments section below.